Update Nov 16, 2013 (Fox News): Israeli authorities damage the Ossurary before returning it to its owner! “A limestone box said to have once held the bones of the brother of Jesus was at the center of the most controversial forgery case in decades — and it was allegedly vandalized by the Israeli government before being returned to its owner. That Jesus had a sibling at all is a controversial idea disputed by the Roman Catholic Church. If the box itself were authentic, it would be considered the first physical link to Jesus. A three-judge panel of Israeli Supreme Court justices ordered the Israel Antiquities Authority (IAA) to return the box and several other artifacts to antiquities collector Oded Golan last month, after the agency spent 10 years accusing Golan of forging the items. The box will soon go on display for the public to view for the first time since 2002. There’s just one problem: Reddish stains now appear over the inscription, remnants of a silicon substance applied by the Israel Police Forensics Laboratory to help determine the authenticity of the James ossuary. Oct 30, 2008: Ossuary Deemed Authentic! According to an announcement by BAR – Biblical Archaeological Society – the inscription on the James Ossuary has been found to be authentic. The IAA case that has been underway in Israel for over a year, with the intent of trying to prove that the inscription was a fake, has fallen apart. Uncontested evidence has been produced which proves that the same ‘ancient patina’ which is found on the front part of the inscription ‘James, son of …” is also found in the tail end of the inscription “.. brother of Jesus”. Authentic, uncontested archaeological evidence for James, an Apostle of the Lord, and for his Brother – JESUS! What is the James Ossuary? The James Ossuary is a stone box that evidence now shows REALLY contained the bones of James, the brother of Jesus! What is an “ossuary”? During the time of Jesus and the early church, the Jewish people had a custom of removing the bones of a deceased person from a tomb, and placing the bones in a stone box or “ossuary”. The purpose of this was to preserve the bones for what they hoped would eventually be the resurrection for the person who had passed away. The “James Ossuary” is a very special ossuary that was discovered in the mid 1970’s, and recently hit the front pages of the media. Why? There is very good evidence that this stone box once held the bones of James, the brother of Jesus. If it is authentic, it not only corroborates the existence of James – it is also physical evidence of the life of Jesus. Where Did the James Ossuary Come From? The James ossuary was purchased by a little known collector named Oded Golan in Israel in the mid 1970’s. Apparently it was purchased from an Arab laborer who found it in a cave near Silwan, just outside Jerusalem. It did not come from an official and scientifically controlled excavation, like many finds. So we don’t know much about the context – which cave it might have come from, is there we other ossuaries in the cave, etc. However, the dead sea scrolls also came to light through the antiquities market and not an official dig. So this is hardly a reason to ignore what may be one of the most important archeological finds of modern time. How Was the James Ossuary Discovered? The ossuary was purchased in the mid 1970’s, but lay dormant in the care of its owner for several decades. Mr. Golan, being Jewish and not familiar with the details of the Christian faith, had no idea that Jesus may have had a brother. Consequently he assigned no importance to the ossuary, and it was ignored by him for many years. It lay in his basement gathering dust until one day, in the spring of 2002, one of the world’s leading experts in ancient Semitic scripts — Andre Lemaire – was invited to view his collection. Mr. Golan needed some help understanding some difficult to read inscriptions, and Mr. Lemaire – being a noted epigrapher – was just the person who could help decipher these. Andre soon visited Mr. Golan in his apartment in Israel. Mr. Golan showed him several photographs of inscriptions that he had difficulty reading — including one of a stone ossuary inscribed with “Ya’akov bar Yosef akhui di Yeshua”. His eyes popped, and he immediately recognized the importance of this stone box — if it was genuine. The Jesus of the New Testament had never appeared in an archaeological context. If this was indeed the stone ossuary that held the bones of James, the son of Joseph and the brother of Jesus, the find would be nothing less than earth shaking! Mr. Lemaire remained cool, as was his habit. “Very interesting”, he said. He asked to see the stone ossuary first hand, and soon did. Upon inspection he reported said he “felt good about it”. He also examined the inscription very carefully and found it to be authentic in his professional opinion (see below for details, and Sources at the end of this article). Notice that in both passages James is named first, indicating he may have been the oldest. In trying to maintain the perpetual virginity of Mary, some say that the references to brothers and sisters of Jesus in the Gospels are really cousins. But the word used in these passages is the word for “brother”, not “cousin”. There is a perfectly good word for cousin (anepsois), but that word is not used in these passages. To presume these were the cousins of Jesus is to pervert the plain meaning of the text. A clear reading of the Gospels also reveals that the Mary’s virginity is limited to the birth of Jesus, her first born. In Matthew 1:24-25 we read: “Then Joseph, being aroused from sleep, did as the angel of the Lord commanded him and took to him his wife, and did not know her till she had brought forth her firstborn Son. And he called His name Jesus.” The implication is clear from a plain reading of the text: Joseph did have sexual relations with Mary after the birth of Jesus. It’s also reasonable that Joseph and Mary would continue to have other children. Evidence indicates they were devout Jews, and as such would be expected to obey the Jewish Law of “be fruitful and multiply”. What did the family of Jesus look like? Who was ‘James, the brother of Jesus’? There were several people with the name James who lived during the time of Jesus, and are referred to in the New Testament. There are of course two of the apostles – James, the son of Zebedee, and James the son of Alphaeus. But James, the brother of Jesus stands apart. He was clearly identified as the “brother of the Lord” by Paul (see Gal 1:13-19). Josephus, the famous 1st century Jewish historian, also identifies him as “the brother of Jesus”. What else do we know about James the brother of Jesus? James was likely not initially a believer in or a follower of Jesus prior to His resurrection (see John 7:2-5). After His resurrection, Jesus appears especially to James: “After that He was seen by James, then by all the apostles” (1 Cor 15:7). Subsequent to this appearance James becomes a committed follower of Jesus. Soon after he became the leader of the early Christian church in Jerusalem, and had regular dealings with Peter, Paul and the rest of the Apostles. James was a strong leader and mediator amidst controversy in the early church (according to the New Testament Acts). He wrote the Epistle of James recorded in the New Testament – a letter providing guidance to Jewish Christians (“twelve tribes”) scattered abroad. According to the first century historian Josephus, James was condemned by Annas the high priest and the Sanhedrin, and stoned to death (c AD 62). The charge is not clear, but it may have been blasphemy – James identified himself as a “servant of God and of the Lord Jesus Christ” (James 1:1). Testing by the Geological Society of Israel confirms that the limestone is from the Jerusalem area, and that it was quarried in the 1st or 2nd century CE. When a stone ossuary lies in a cave for hundreds (or thousands) of years, a “patina” (a thin film of chemicals) develops on the surface of the stone. Microscopic analysis of the ossuary and the inscription reveals that the very same patina on the surface of the ossuary is also the same patina that is embedded in the grooves of the inscription. This tells us that the ossuary, and the inscription, are the same age. If the inscription was made by a modern tool, and done recently, then the patina would reflect this. The patina in the grooves of the inscription does not contain any metal shavings or evidence that it was done by a modern tool. The Aramaic used in the inscription has been examined by the world’s foremost experts in ancient Aramaic. The words used for son (bar), and brother (akhui) attest to the fact that the inscription is indeed the same ancient Aramaic spoken by Jesus and His apostles. The paleographic style of the letters inscribed on the stone places the writing in the 20 BCE – 70 CE time frame. Furthermore, several of the letters – the shape of the dalet (“d”), yod (“y”), and aleph (“a”) – narrow the date of the ossuary to roughly 50 – 70 CE, the very same time frame that James was recorded as being put to death! Most ossuaries are without inscriptions. 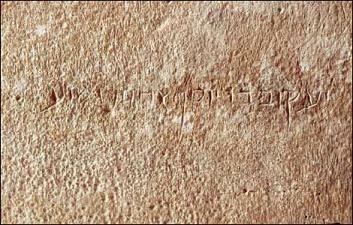 The ones that are inscribed and that date from the 1st century are normally inscribed in the style “xxxx, son of yyy”. There is only 1 – one – other example of an ossuary out of thousands where there was a name appended. The primary reasons for doing this were only two: 1) to differentiate the person from others that they might be confused with, or 2) to associate the person with someone famous. Clearly the ossuary of James was being marked to differentiate it from the rest – as being the very special resting place of the Lord’s brother. 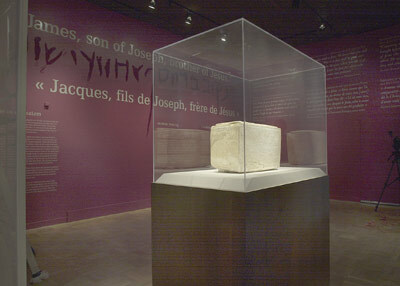 Some skeptics say that if this was the James that was the brother of Jesus, the inscription would have read “the brother of the Lord”, or “the brother of the Messiah”. But is this so? If we read Josephus, the famous Jewish historian of the 1st century, he refers to James in just the same way: as “the bother of Jesus, who is called the Messiah”. Could Someone Have Faked The James Ossuary? Some has said that the first part of the inscription – “James, son of Joseph” – was written by one hand, while the second part – “brother of Jesus” – was by another hand. The problem with this objection is that it runs counter to many of the world renowned epigraphists who have examined the inscription – among them Professor Frank Cross of Harvard, Father Joseph Fitzmyer, formerly of the Catholic University of America, Dr. Ada Yardeni (author of The Book of Hebrew Script, Joseph Milik, a prominent Dead Sea Scrolls epigrapher, and Andre Lemaire. All of these experts see only one hand in the inscription. Another accusation is that the first part of the inscription is written in more of a formal manner, while the second part is written in a cursive manner. However this argument breaks down on close examination. As Mr. Lamaire points out, formal and cursive characters are all mixed together in the inscription, not an uncommon practice for such ossuaries. With F=Formal and C=Cursive, this is how the inscription reads: CFFCFFFCCFFCFCCCCFCF. Observations have been made that parts of the inscription are more incised than others, as if cleaned by a sharp instrument recently. But this is not unlikely if one considers how the ossuary came to be discovered. An ossuary with no inscription is practically worthless, and one with an inscription that is hard to read is worth very little. To maximize value, Its likely that the antiquities merchant cleaned (and perhaps etched out more deeply) some of the letters. 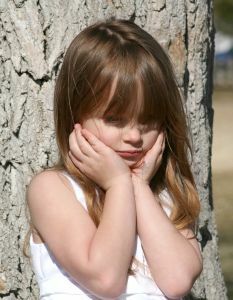 But cleaning is quite different from forgery, and according to experts the evidence points to cleaning – not forgery. Some have asserted that the “patina” on the inscription – especially the first part – does not match the patina or film on the rest of the ossuary. But that should not be a surprise to anyone, since Mr. Golan freely admitted that his mother cleaned the inscription with soap and warm water several times, and it was likely cleaned by maids as well. This being the case, one would expect to find a difference in the film around the parts of the inscription that were cleaned. 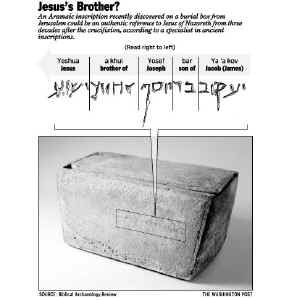 What is interesting, however, is that the Israel Antiquities Authority (IAA) report states that the same yellowish patina that is on the side of the ossuary is also in the incisions of the letters of “the brother of Jesus”. Meaning the last words of the inscription have to be authentic! But if the last words are authentic, and the evidence outlined above stands the test of scrutiny, its likely that the first words are just as authentic. 2 – ibid, p 27.